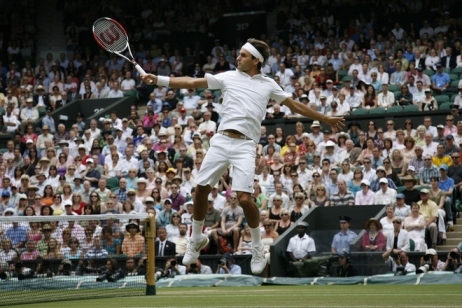 Roger Federer wins Wimbledon in 2009. In over a century of judging the hits and misses of men’s professional tennis, tournament rules have come and gone. Styles of play rose and fell with the passage of time. Technology has increased speed, spin and accuracy as rackets evolved and athletes became bigger, stronger and faster. In light of constant evolution, it becomes difficult to compare players from one generation to the next because unlike baseball, tennis has never been a game noted for rote statistics. That is not to say the stats were not there, but as a professional organization, no one thought to keep numbers comparing players in a consistent and forward-thinking manner. Sometimes even the most rudimentary facts about a match are missing. Even today, there is no consensus about just what statistical measures are important in judging the overall careers of the top men in tennis. This ranking looks at players of the modern era, since 1968, although a great case can and should be made for male tennis stars who played before the Open Era. Compare Federer’s numbers to the stats of others with him in the top 10, especially those who have won slams on all surfaces. These 10 players in the modern era have set the bar for the rest following in this 21st century.